After waiting months for her to appear, Carli Hays decided to arrive yesterday. Laresa and Keith Hays brought a new EM baby into the world yesterday. Carli was born at 1:25pm on October 1st. She was 8lbs, 4oz. Now Laresa and Keith with join the ranks of being parents. What an exciting time it is. Laresa is EM America's General Manager. She has been the person who answers the phones and helps our customers with most of their questions, gets their orders out in time, and helps set up our resellers. For the Administration, she makes sure we don't forget things...to remember to follow up and get places on time. She is going to take some time off to be with Carli, so it is going to be tough for the next few months. Not to worry, she has trained a couple new ladies to help out and they haven't missed a beat! 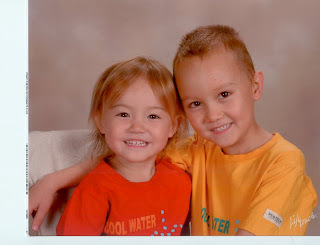 My two children, Kenji and Leah, are EM babies too. My wife, Yuki drank EM1 and EMX during her pregnancy and continues to this day. I always suggest to women that have given birth to use EM1 in a sitz bath. It helps heal up the area faster for sure. Dr. Higa has always said that drinking EM-X during the first years of development will help with your child's health. I can say both our kids are very healthy. They're also both fluent in Japanese and English.